Prince William visited Gosport today. The Duke of Cambridge will attended the rededication ceremony of the only surviving British Second World War-era submarine at 12:00 today. In his role as Commodore-in-Chief Submarines, William will visit HMS Alliance at the Royal Navy Submarine Museum in Gosport, which has been restored at a cost of £7 million. The Prince is the royal patron of the conservation appeal which made the repairs and refurbishment of the submarine, which re-opened to the public last month, possible. During his visit, William will meet veteran submariners and tour the vessel before being presented in the traditional manner with the Dolphins badge in a tot of rum. Newly-qualified submariners are presented with their Dolphins badge in the glass of rum which they drink and have to catch the badge in their teeth. HMS Alliance was designed for service in the Far East and was launched in 1947 and completed a distinguished 28-year career during the Cold War until it retired and became the centrepiece of the submarine museum. While moored on the museum quayside since 1982, the submarine became a rusted wreck and the restoration programme, which was partly funded with a £3.4 million grant from the Heritage Lottery Fund, returned it to a shining example of 20th century engineering. 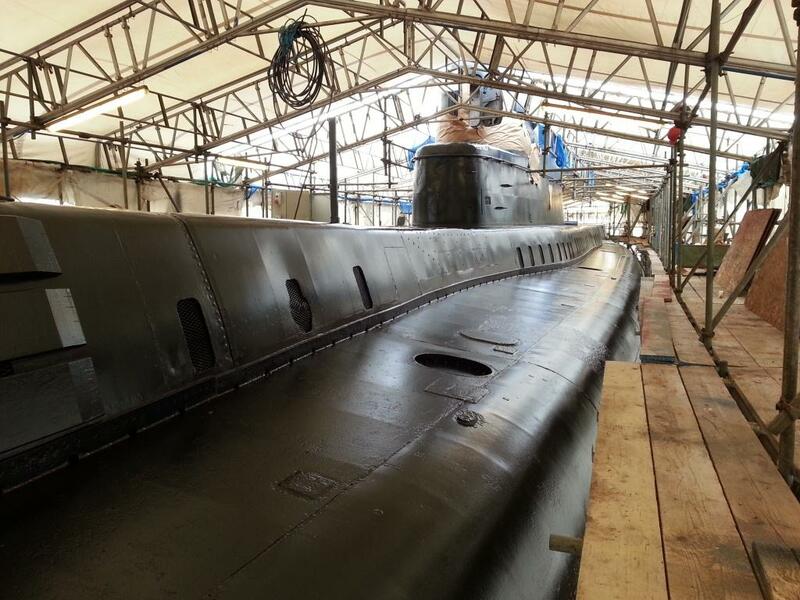 The project to restore HMS Alliance has also included a new education and volunteering programme. More than 100 volunteers from the local area of Gosport have contributed by undertaking duties at special fundraising events, helping conserve the submarine and working behind the scenes in the archives.